Harvey Herschel Korman (February 15, 1927 – May 29, 2008) was an American comedic actor who performed in television and movie productions beginning in 1960. His big break was being a featured performer on The Danny Kaye Show, but he was probably best remembered for his performances on the sketch comedy series The Carol Burnett Show and in the comedy films of Mel Brooks, most notably Blazing Saddles. The actor died at UCLA Medical Center after suffering complications from the rupture of an abdominal aortic aneurysm four months ago. He was 81. 1. 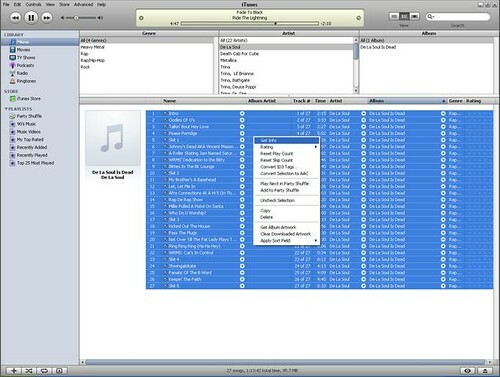 Open iTunes and browse to the music you want to add art to. 2. You should have the picture you want saved to your computer, I use Amazon.com to get my Album art because the covers are about the right quality for me and size (200×200 to 300×300 is optimal). 3. Right click and save the picture to your computer then go to iTunes. 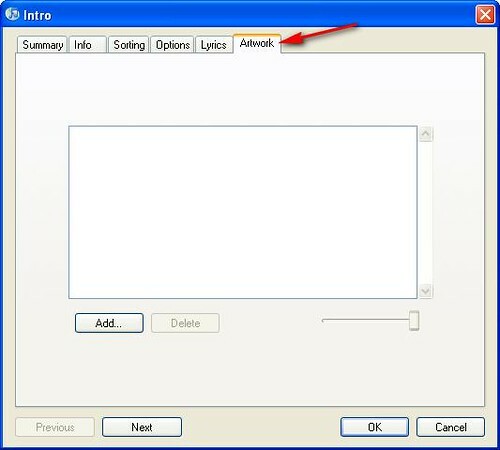 select all of the songs in the album you want to add art to, right click and select “Get Info” the top choice. 4. You will get a dialog box that looks like this (Below). 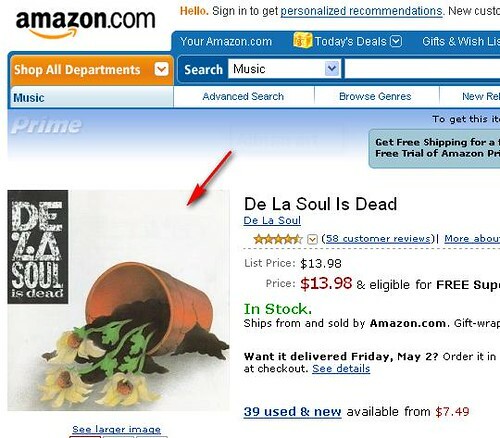 The Arrow is pointing to the box to set the album artwork. Simply double click the box browse to where you saved the cover art select it then once you are done select “OK”. 5. 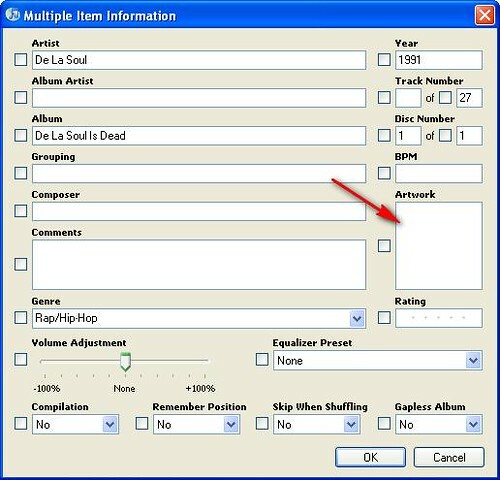 If you are selecting a single song follow the same rules, right click the song select “Get Info”. Click on the artwork tag then the “Add” button browse to where you have saved the cover art. Select the cover and hit “OK”.